Was There Really Death Threats Against This Anchor? 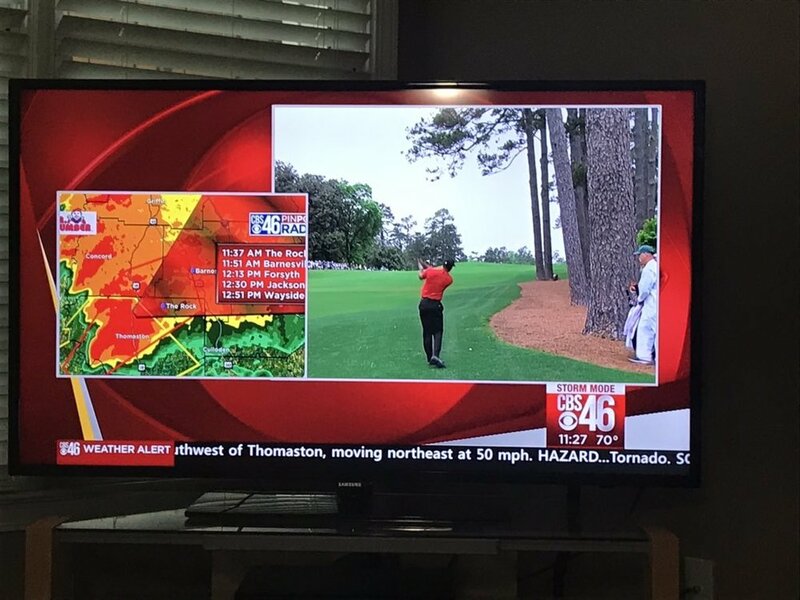 Yesterday, FTVLive told you that WGCL broke into the coverage of the Masters to update viewers on some severe weather that was moving through the area. Meteorologist Ella Dorsey said that she received death threats for breaking into coverage. But, some wonder if there were death threats, why wasn’t the police called. 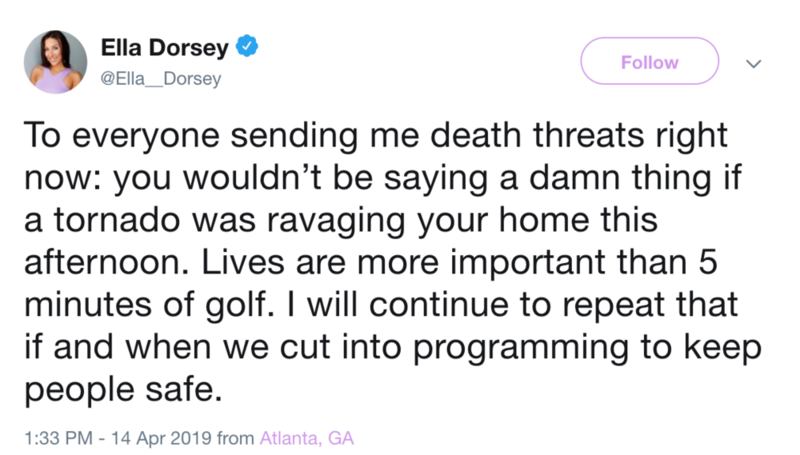 Why didn’t Dorsey post screenshots of said threats? Insiders say that during the 1PM cut in for weather, the Meteorologist on camera was Jennifer Valdez. Ella Dorsey was only heard off camera. The screenshot of Valdez doing the cut in is posted to the right. So why would the “death threats” be directed at her and not Valdez? There is no doubt that viewers were mad at the station cutting in. But, as you can see, WGCL kept the Masters up in a double box and the Masters box was larger than the breaking news box. The station handled it about the best that they could, but were there really threats of death against Dorsey? If there wasn’t, why did she say there was? Also, why is there no police involvement?